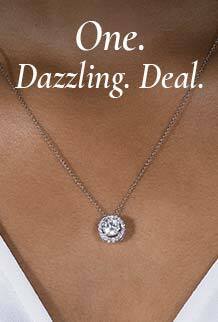 Featuring expertly faceted round cut moissanite, 3.0mm. Total Diamond Equivalent Weight (DEW) 0.40 carats. Buy with confidence: Limited Lifetime Warranty on all gemstones, 12 months on finished jewelry. A trendy and fascinating style. These Forever One moissanite stud earrings each showcase two round brilliant stones framed by a 14K gold rectangle. Really cool. Really special.